Let your children have the best off-road dirt ride. Ready their helmets and other gears as they will surely enjoy the great outdoors with the newly launched Rovo Kids stylish line of Kids Ride On Motorcycles. Perfect for your little adventurers, your kids will definitely be the coolest ones on the block when their playmates get to see the motorcycles' state-of-the-art features. 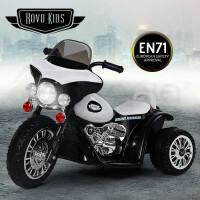 Available in more than three models, Rovo Kids Ride On Motorcycles have realistic engine sounds, electric break, a horn, headlights as well as a forward and reverse motion to give your kids a feel of riding a real one. Let them have loads of fun time outside. 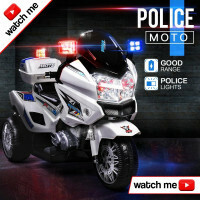 These motorbikes are equipped with built-in music and could even be connected to an MP3 player or smartphone to play their favourite songs during playtime. Worried about your kids' safety? 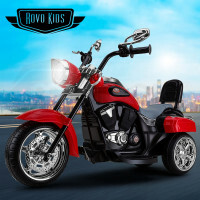 Rovo Kids Ride On Motorcycles are made of high quality materials and designed with a rubber wheel tread for everyone's peace of mind. Also included is a battery charger to accommodate lengthy playdates with their friends. Put a smile on their face. 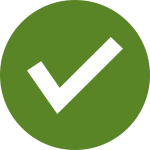 Mytopia is one of the top online stores that houses premium toys for children. Among them are the different varieties of colourful ride ons for kids that are designed to encourage children to be active. Choose from any of the authentic looking Ride On Cars and Ride On Bikes and let your little ones cruise in style. Be amazed with their outstanding quality and attractive features. Guaranteed hassle-free and fast delivery across the country, Mytopia's Push Ride Ons and Balance Bikes will be at your doorstep in no time. Order now and let them have motoring fun for hours. Treat your little ones to any of these ride on toys and get a 12 month warranty from us!